DESIGNER EPIC™ - Made by Sewers for Sewers. 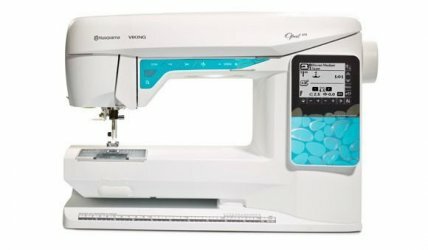 HUSQVARNA VIKING®, is proud to launch our new top-of-the-line Designer EPIC™ sewing and embroidery machine. It is the first sewing and embroidery machine to incorporate intuitive technology that adapts to the needs of every sewer. Available in October this new machine re-imagines the sewing and embroidery experience through both smart technology and thoughtful design. It’s where engineering and sewing expertise meet. 1. Interactive Tablet-like Screen: The industry’s first multi-touch tablet-like screen, which allows sewers to easily drag-and-drop, rotate, pinch, spread, and duplicate designs. As a result the 10.1” full color screen lets you create and customize designs with ease. 2. MySewnet™: The industry’s first cloud-based storage system embedded in the machine allows you to store, access and synchronize all your embroidery designs across several devices automatically through WiFi. In addition, you can save all of your stitches and sequences directly to MySewnet™ cloud. Automatic software updates also come to your machine through MySewnet™ cloud. 3. MySewMonitor app: Allows you to get instant updates on the status of your embroidery via WiFi. 4. JoyOS Advisor ™ Feature for Sewing & Embroidery: The industry-leading sewing instructor has 120 animated and illustrated step-by-step tutorials embedded in each machine; it’s like having your own virtual sewing instructor right in the machine. 5. 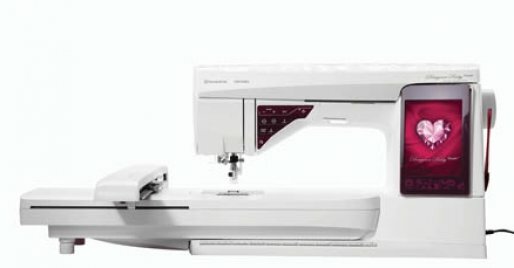 Intuitive Settings: Additionally, the machine automatically sets everything for you based on the type of fabric, specific stitch, and desired technique to make sewing and embroidery easier and the results better. 6. The HUSQVARNA VIKING® Designer EPIC™ machine features both the largest work space (12.2” from needle to arm and 5.5” of height) and lightest weight of all of the top-of-the line machines. It also has the largest embroidery field, both with and without a turnable hoop, of any machine. 7. Its new LED lights are scientifically engineered to maximize and evenly distribute light, sewers will have the best-lit sewing surface, along with the best viewing angles, to create whatever their hearts’ desire. The new machine also features many small details that demonstrate the HUSQVARNA VIKING® commitment to sewers, including complementary software to create unlimited fonts, an automatic needle threader, and an easy-to-access tray to store the sewer’s most-used notions, accessories and presser feet. Additionally, the machine comes with 5 unique advanced stitch techniques (2 of them brand new), a rubberized hand wheel, and the exclusive HUSQVARNA VIKING® deLuxe™ Stitch System and Exclusive Sensor System™ technology, which senses your fabric thickness for a perfect, even feed. DESIGNER RUBY Royale™ - The love of a lifetime! creativity to the next level. The DESIGNER RUBY Royale™ machine is completely intuitive and provides regal quality in every single detail! 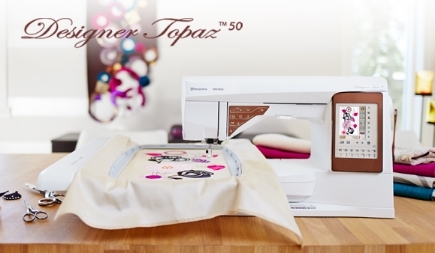 DESIGNER TOPAZ™ 50 – Imagine. Create. Shine. The large embroidery area allows you to stitch spectacular designs with just one hooping and the generous sewing surface gives you more room for large projects. Large number of optional embroidery hoops for different purposes. 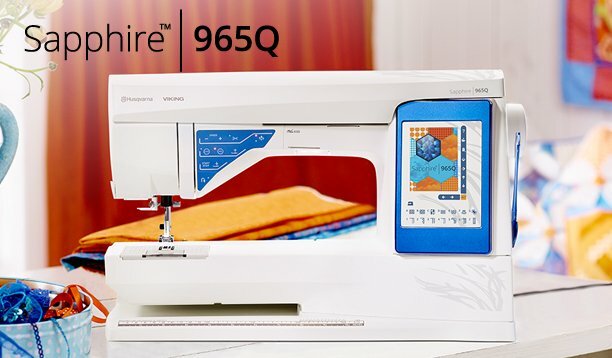 SAPPHIRE™ 965Q - Blending Colors. Weaving Memories. programming screens. Such a rare gem to find a screen of this caliber within this price range. Your straight stitches will be better than ever before when using the Straight Stitch Plate with Sensor technology. Free-motion sewing can be done with any stitch. Side-motion sewing creates wider and more beautiful stitches. Large area to the right of the needle ensures wonderful sewing ease. Hundreds of 7mm stitches, specialty stitches and up to five font styles. The EXCLUSIVE SENSOR SYSTEM™ technology automatically and continuously senses any thickness of fabric for perfect fabric feed. The Exclusive SEWING ADVISOR® feature instantly sets everything for you. The automatic thread cutter cuts the threads with one touch. For all stitches and techniques, the best thread tension is set automatically. 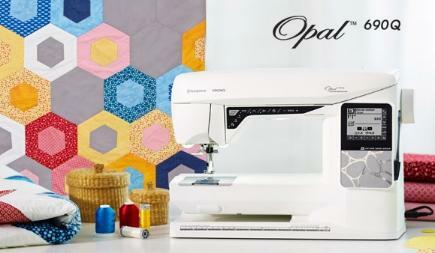 OPAL™ 670 - GO FROM GOOD TO GREAT SEWING!